Newcomer Family Obituaries - Victoria Theys 1945 - 2019 - Newcomer Cremations, Funerals & Receptions. 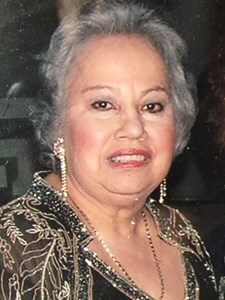 Victoria Theys, age 73, of Grand Rapids, Ohio passed away Wednesday, April 10th, 2019 at St. Luke's Hospital in Maumee. She was born August 17th, 1945 in San Juan, Puerto Rico to Julio and Susa (Martinez) Celpa. Victoria worked for Jeep, retiring after more than 32 years of service. She was a member of Bethany Baptist Church in Grand Rapids, Ohio and the Spanish Baptist Church in Toledo. Victoria enjoyed swimming which she did often at the Anne Grady Center. She also liked being outside tending to her gardens. Victoria was an avid animal lover and was known for spoiling her dogs and cats. In addition to her parents, Victoria was preceded in death by her loving husband, Thomas Theys and sister, Lidia Ramirez. She is survived by a host of loving family and friends which include, Liset Rodriquez, Elba Torrez-Negron, Maria Celpa, Aida Martinez, Ivette Ramirez, Olga Celpa, Linda Ramirez, Luis Gonzales, loving friends, Joan Watson and RoxAnn Durant, stepchildren Donna, Danial and Tim Theys and many more friends from Bethany Baptist and Spanish Baptist Church. The family will receive guests Tuesday, April 16th, 2019 from 2:00 - 8:00 pm at Newcomer Cremations, Funerals & Receptions, SW Chapel, 4752 Heatherdowns Blvd. (419-381-1900) and 1 hour prior to service on Wednesday at the church. Funeral Services will begin Wednesday at 11:00 am. at the Bethany Baptist Church, 14070 Bailey Rd. Grand Rapids, Ohio, 2 miles south of Neapolis Rd. Officiating will be Pastor Tim Coley. Interment will follow at Wakeman Cemetery, Waterville, Ohio. Victoria's family would also like to extend a special Thank You to longtime friend, Vincent Jurez for his support and guidance during this very difficult time. Your kindness is appreciated. To leave a special message for Victoria's family, please press the "Share Memories" button above. Add your memories to the guest book of Victoria Theys. Saludos con cariño y respeto a todas las amistades y allegados a mi amada hermana Victoria Celpa. Mi nombre es Julio Celpa, hermano de Victoria Celpa, aunque lejos por la distancia, pero unidos por la misma sangre y también por la sangre de Cristo. Agradezco a Dios y a ustedes que estuvieron cerca de mi hermana Victoria Celpa y para ella como familia. Bendiciones. Atte. Julio Celpa (Tel. (787) 293-7363. You were a great friend, with an enormous heart that couldn’t fit in your chest. I know firsthand that you helped many people and that your love and friendship was inconditional. I know that you now are living at the heavenly Mansons with our Lord. I will forever love and remember your my dear Doris. I will miss you. So sad to hear of Victoria's tragic passing. Victoria was a wonderful sister-in-law and a kind, giving person. She was my inspiration as a caregiver to her husband, Tommy. My sympathies to her family. Victoria was a very good friend of our family in Waukegan, Illinois. A very beautiful, loving, and thoughtful friend. She also worked with my father-in-law at Jeep in Toledo, Ohio. Victoria will be greatly missed. May she rest in peace. I worked next to Victoria for many years she was the most special lady I ever met she cared about everyone and would go out of her way for you. She will be missed but she is in heaven with Tom and her loved ones she has missed so much. I am so sorry for your loss. Prayers. She will be greatly missed. She had a big heart and was always nice to everyone.